About 18% of the U.S. population suffers from some form of anxiety disorder.1 Those who do are about 2 to 3 times as likely to have problems with addiction as those who don’t have anxiety.2 When a person has both a mental health and a substance disorder, this is known as a dual diagnosis. Treatment can address both conditions. Everyone experiences stress and anxiety. Yet while most people might experience anxiety every now and then in a fleeting way, for a person with an anxiety disorder, the anxiety can be unrelated to any specific situation. Or it may be seriously out of proportion to the situation at hand. A serious anxiety issue affects your ability to function in your daily life. 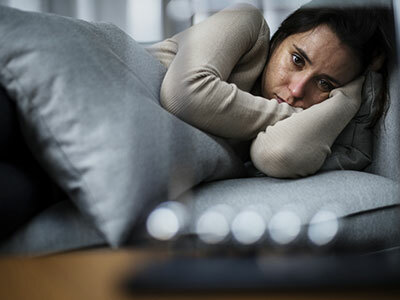 Some people with anxiety have a dual diagnosis, which means they have both a mental illness, such as anxiety, as well as a substance abuse disorder. In these cases, it can be hard to tell which came first: the anxiety disorder or the substance abuse disorder. Some people with anxiety may use drugs or alcohol to self-medicate or better manage their symptoms. Genetic vulnerability. There may be some overlap in the genetic components that increase a person’s susceptibility to developing both addiction and anxiety disorders. Environmental triggers. Examples include trauma and abuse, both of which can lead to anxiety as well as a greater vulnerability to using drugs. Involvement of similar brain regions. Brain functioning is also a common factor in both types of disorders. Key brain regions that react to reward and stress and are affected by drugs may also show irregularities in people with anxiety and other mental health disorders. Being unable to control worrying. Problems getting to sleep, staying asleep, or feeling rested. Loss of control over the feelings of fear. Worries and fears of another attack occurring. Avoiding places in which attacks have occurred. Difficulty interacting with others and feeling very anxious about it. Being very worried about judgment by others. Having difficulty making and keeping friends. Avoiding people as much as possible. Sweating, blushing, or having problems speaking when others are around. 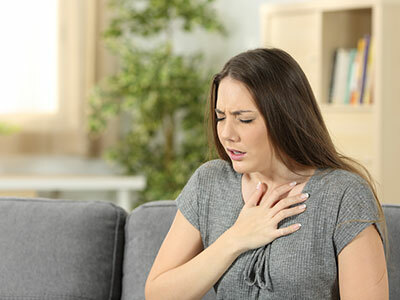 Getting physically sick when having to interact with others. Taking more of a drug or alcohol than they meant to. Continued use despite the knowledge of the legal or social consequences. Continued use despite the knowledge of the drug’s negative impact (e.g., deteriorating medical or emotional health). Strong craving for the substance of abuse. Inability to cut back on using drugs or alcohol. Failure to do what you are expected to do at work, at school, or at home and an inability to live up to your responsibilities due to drugs or alcohol. Drugs or alcohol become more important than former interests or hobbies. Doing irresponsible things, like driving, while using alcohol or drugs. Alcohol and drugs take up most of your time. Either you are using drugs and alcohol, or you are trying to get over using, or trying to get hold of more drugs and alcohol. Increased tolerance of the drug or alcoholic substance to where more is required to generate the desired feelings. Cutting back or stopping use triggers withdrawal symptoms. Other drugs can cause anxiety when the person stops taking them and experiences withdrawal. This type of anxiety usually occurs with drugs that suppress the central nervous system and reduce anxiety, including benzodiazepines, alcohol, and opioids. Inpatient treatment. An inpatient program can provide 24/7 supervision and medical and social support to help a person stop using drugs and learn to manage their anxiety at the same time. Outpatient treatment. Outpatient treatment programs can be an option for some people to receive treatment for anxiety and addiction. Outpatient treatment programs vary in how often a person attends treatment. Some outpatient programs may meet for only a day or 2 per week, for 2 to 3 hours at a time. However, some programs offer an intensive outpatient program, or IOP, which usually meet for 2 to 3 days per week, typically for 3 to 4 hours per day. Other treatment programs offer what is known as partial hospitalization, or PHP, which usually meet 4 to 6 hours per day, from 5 to 7 days per week. Such programs are sometimes the first stage of treatment. At other times, people will attend IOP or PHP as a step down from a more intense form of treatment, such as inpatient treatment. The intensity of services depends upon individual needs. 12-step programs. These programs are usually a form of aftercare for someone who has been through a course of inpatient and/or outpatient treatment. But some people use them as their primary source of recovery. These groups are vital for ongoing support and sobriety. Support groups. These may be run by a therapist or other people who have dealt with or are dealing with anxiety. These groups are helpful for meeting other people in the same situation as you and learning about the ways that they manage their own anxiety. If you or a loved one is struggling with anxiety and addiction, don’t wait to seek help. Call our helpline today to talk to a treatment referral specialist about the best options for recovery. Anxiety and Depression Association of America. (2017). Facts and Statistics. Anxiety and Depression Association of America. (2016). Substance Use Disorders. National Institute on Drug Abuse. (2011). Comorbidity: Addiction and Other Mental Disorders. American Psychiatric Association. (2013). Diagnostic and Statistical Manual of Mental Disorders (DSM-5). Arlington, VA: American Psychiatric Association Publishing. Substance Abuse and Mental Health Services Administration. (2005) Substance Abuse Treatment for Persons with Co-Occurring Disorders. University of Washington. (2017). Effects of Marijuana on Mental Health: Anxiety Disorders. University of Maryland Medical Center. (2017). Anxiety Disorders. National Institute on Drug Abuse. (2012). Matrix Model. Anxiety and Depression Association of America. (2016). Therapy. University of Michigan. (N.D.) Relaxation Skills for Anxiety. National Institute on Drug Abuse. (2017). Commonly Abused Drugs Charts. National Institute on Drug Abuse. (2014). Treatment and Recovery.